As a business owner, Kevin Schriver was always looking for ways to take his company to the next level. Kevin was dedicated to making his business the best it could be and was putting in ample time to grow the company, but still felt like he was hitting a plateau. He ultimately decided that he needed help. He wanted to know not only how to help his business, but how to grow as a person. 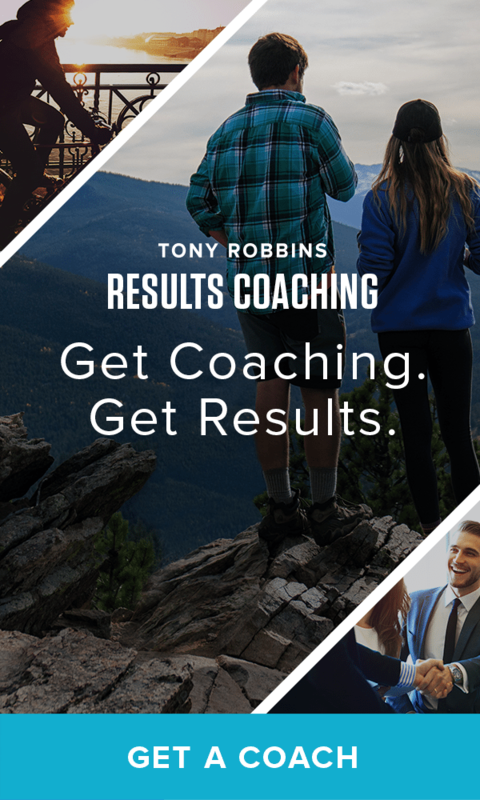 Tony Robbins Results Coaches are trained to help identify what it is their clients truly want out of life. They develop a customized plan that best fits the unique personality of each client and work with clients each week to ensure they realize their fullest potential and achieve the goals they’re after. In just a few sessions, Kevin quickly realized, this isn’t a one-size-fits-all approach, Tony’s coaches go beyond simple mentoring and strategy, they start with assessing your mindset to make sure you get the best-fit program for your needs. Kevin’s coach worked with Kevin to discover not only what his goals were, but to identify the most effective way for him to achieve them. As someone who’s busy running multiple online businesses, Kevin had to seriously look at how he was handling time management. His coach helped him to see how he could map out a plan that integrated well with Kevin’s already hectic schedule. When you’re trying to figure out how to grow, it’s easy to make big goals. However, if you set your sights too high without an action plan or the power to follow through, it’ll only lead to disappointment. A trained professional can help you to narrow in on what’s really important to you. A coach will ask you to consider why you’re setting your goals in the first place: What’s your ultimate motivation? Once you have clarity of purpose, you’ll work together to create a custom action plan and identify the best way to measure your progress along the way. Kevin Schriver had lofty goals, which is incredible. However, sometimes bringing too many components to the goal-setting process can actually deter from your growth. You get caught up in the big picture without thinking about the details it takes to get to your end goal. Having a Results Coach makes the goal-setting process simpler, meaning you’ll have a clearer path toward accomplishing your objective. Working with a Results Coach isn’t about finding a new best friend. It’s about working with someone who knows what it takes to succeed, and who will objectively dispense advice when you need to hear it. Unlike a loved one, a coach isn’t there to sugar coat things for you, they are there to push outside your comfort zone – where the real growth happens. If you’re someone who’s constantly coming up with excuses as to why you can’t achieve something, a Results Coach will stop that behavior. A professional can help you to not only stop making excuses, but to understand why you’re making them in the first place. You’ll examine why you’ve been telling yourself you’re not brave enough, smart enough or resourceful enough to accomplish your goals, and learn how to stop buying into these limiting beliefs. Kevin found that the most challenging step in taking his life to the next level was just getting things started. There are many reasons to tell yourself why you can’t do something, but a Results Coach will show you all the reasons how and why you must. As for the downsides to coaching? “The biggest risk is not improving your life,” said Kevin. Because he worked with a coach, Kevin saw his business thrive and was able to do more of the things he loved outside the office. He saw growth in all aspects of his life, and is now armed with the tools and strategies he needs to continue on his upward trajectory. Are you ready to learn how to grow in life? Do you want to work with someone who’s already achieved success and can show you how to do the same? Sign up for your complimentary introductory coaching session today, and start getting real results to take your life to the next level.